The city of Harlingen's Zagster bike-share program will be replaced with a new Valley-wide concept if things go to plan. These bikes and their docking racks at McKelvery Park would be replaced with a dockless system. WESLACO — A Valley-wide bike share program that won’t cost any public dollars continues to ride ahead. Ron Garza, executive director of the Lower Rio Grande Valley Development Council, said this week he visited Austin to evaluate that city’s bike-share plan and how it is evolving. Unlike B-Cyle, or the Zagster system in Harlingen, dockless systems have no designated area for the bikes to be returned. In effect, the bikes are monitored via satellite but are just left in a public area when a rider hops off. A Valley-wide dockless system will mean an intrepid rider could pedal from Edinburg to McAllen and even on to Brownsville and leave the bike there. Dockless bike systems make money when users who have registered a credit card swipe their phone and unlock a bike to make it rideable. The rates vary, but generally they run about a dollar per hour. The fact cities don’t have to provide funding for these ride-share systems is, understandably, one of the reasons they are becoming so popular. Harlingen, for example, is paying $17,000 a year for its Zagster system, although funding for two years was obtained through a public health grant. Garza said early adoption of dockless ride-share systems has had something of the Wild West about it, at least in its infancy. He said the Valley hopes to sidestep some of the issues which have arisen elsewhere. Brownsville, Harlingen, McAllen and Edinburg have bike-share programs, but Garza thinks it would be best to have just one Valley-wide vendor instead of two, three or even a half-dozen. A single vendor, he believes, will improve accountability. The LRGVDC has issued a request for proposal from bike-share vendors seeking to bring their programs to the region. “This RFP we speak of, it’s actually a zero-dollar RFP,” he said. “The cities aren’t paying for it, it’s the vendor that assumes all cost. 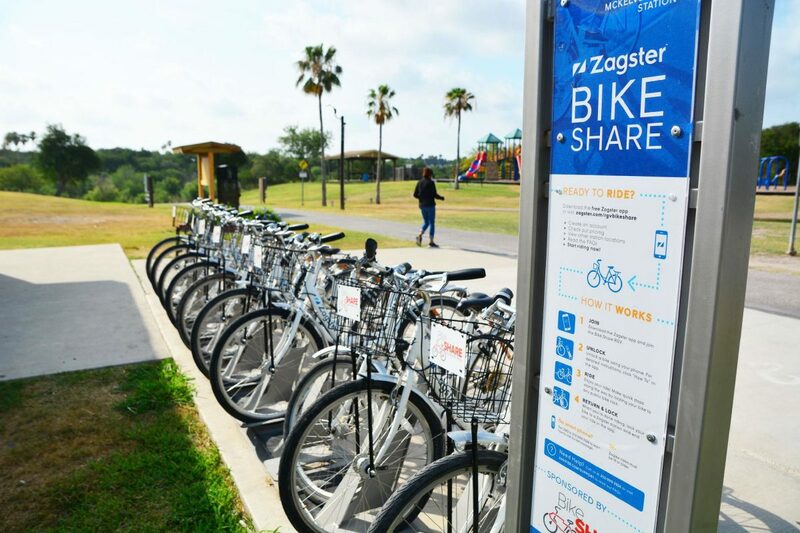 Garza has said previously he hopes to have a Valley-wide agreement in place later this summer so when current contracts expire — Harlingen’s Zagster contract is up for renewal in August — a new bike-share vendor will be ready to roll.